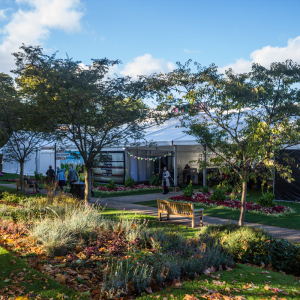 Over the past few weeks, the folks behind Cheltenham Literature Festival have been spoon-feeding us the line-up for this year’s event in October. The full list will be available from August 8th, but in celebration of the big names who have already agreed to speak at the festival – including Salman Rushdie and Patrick Gale – I am reblogging, ‘Sheila Hancock – A New Debut’, a post I wrote after seeing the popular author/actress speak at the festival last year and one that I feel is suitably inspirational for the aspiring novelist. The evening began wet and noisy. Rain bounced off the roof of The Times Forum tent at Cheltenham’s Literature Festival and almost as soon as she had begun, Sheila Hancock – OBE, CBE, actor, director and writer – was prompted to stop mid-sentence and thank her audience for venturing out to see her in such awful conditions. Collectively, her avid listeners laughed; Hancock, ever-youthful in a smart/casual ensemble, beamed genuine gratitude back. All work, unless otherwise stated, is my own. Please contact me if you wish to reproduce anything.